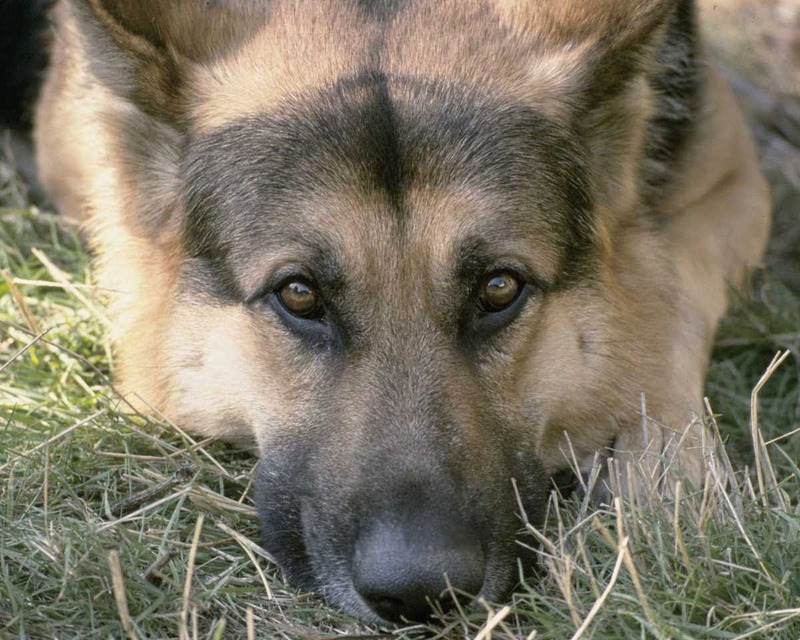 Conventional treatment of heart disease in dogs is to use medicine to counteract the symptoms in an attempt to extend the life of the sick dog. However , some conventional medication for canine heart problems do cause side effects which puts additional burden on the already weakened dog's body. The good news is , natural herbs can greatly improve the quality of life of a dog suffering from heart disease without the side effects. You can try some traditional herbs and remedies which have been used for years, to treat heart problems in humans and animals, to heal and strengthen his heart without poisoning his body. First step is to cook or feed raw diet, and give filtered clean drinking water. Overall Hawthorne helps the heart pump more easily, but with more force and protects the heart from any future damage. This herb is considered to be the user friendly Digitalis. Hawthorne has been used by great herbalists for thousands of years. It has been proven to be effective for high blood pressure, angina, cholesterol, arrhythmias, atherosclerosis, and congestive heart failure. 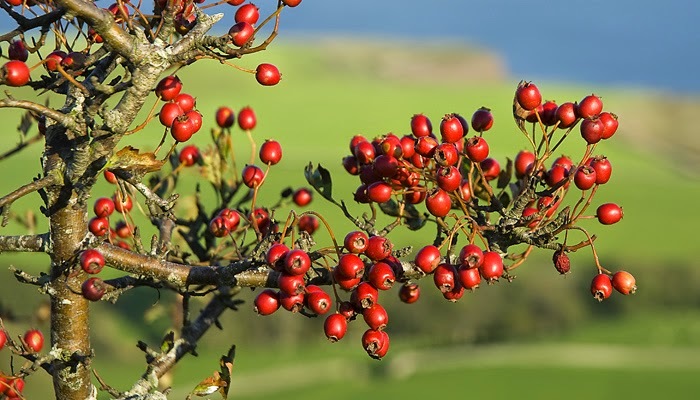 Hawthorn has been shown in clinical studies to help the heart in at least five ways. It reduces peripheral vascular resistance by dilating the blood vessels, it increases the contraction of the heart muscle, it improves left ventricle ejection fraction, it is a powerful antioxidant and it improves blood flow to the heart. In one study (Tauchert et al 1994) Hawthorne was found to be at least as good as the ACE inhibitor Captopril in an eight week double blind study of 132 people with congestive heart failure. In another study (Leow et al 1996) people with congestive heart disease were given Hawthorne extract and their symptoms were decreased by 66%. Hawthorne is extremely safe and can be used daily without any harmful side effects. Contains powerful cardiac glycosides which increase the heart’s pumping force without increasing the heart’s oxygen demand. This makes the heart a more efficient pump and able to meet the demands of the circulatory system. I like to think Mother Nature created this herb specifically for congestive heart failure. This herb has proven itself to be a potent heart and circulatory tonic. 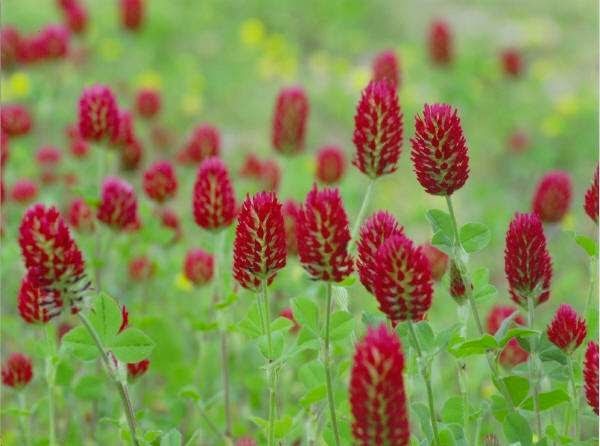 Red clover thins the blood and helps maintain elasticity of the hearts large arteries. Two of the worlds best known circulation stimulants. Cayenne rushes instantly to the heart and then works its way out to the rest of the body, ginger does the opposite going to the extremities first then working its way back to the heart. They go hand in hand as the most powerful circulation stimulants. All herbs should be either organic or wild harvested. 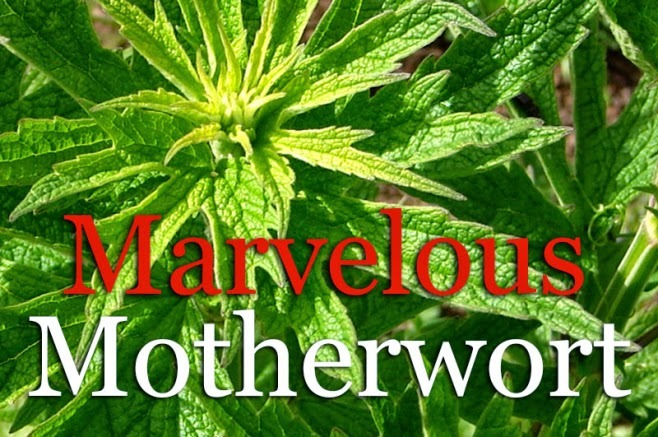 One of the greatest herbs in the world, used by the famous Dr. Richard Schulze and Dr. John Christopher to heal thousands of people and animals from heart disease, circulation problems, internal and external bleeding etc. Its healing power is only questioned by those who have not used it. The hotter the cayenne the better, it is natures heart food. Cayenne not only feeds the heart it stimulates circulation (a must for any disease) and therefore gets more oxygen rich blood to the oxygen starved heart. Cayenne is added to most of our formulae because it intensifies the metabolic action of the other herbs. It is extremely safe and should be used daily. Ginger has the same effects as cayenne, only milder. It also soothes the stomach and helps digestion. Cayenne goes directly to the heart and then works it’s way to the body’s extremities; where Ginger goes to the extremities first then works its way to the heart, making cayenne and ginger the dynamic duo of circulation stimuli. SPIRULINA AND CHLORELLA – not only are these two algae full of nutrients, ounce per ounce spirulina has twelve times the digestible protein than beef and one ounce of chlorella contains more calcium than once ounce of milk. ALFALFA, BARLEY & WHEAT GRASS – grasses are full of vitamins and minerals, they have been making animals healthy and strong since the beginning of time. KELP – a seaweed used for centuries to cure many ailments. 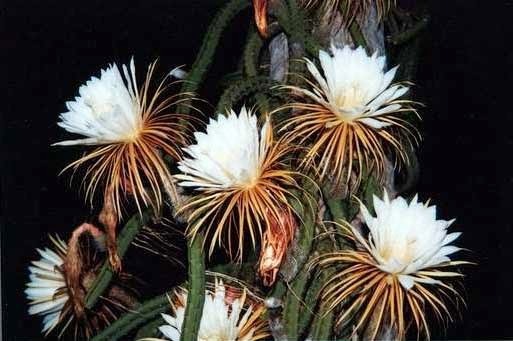 It is also an anti-rheumatic and anti-inflammatory. Kelp helps balance out the thyroid and contains 20 key amino acids. IRISH MOSS – a sea vegetable that fights respiratory diseases and has amazing anti-microbial and anti-viral effects. Irish moss is very effective for digestion problems and will strengthen your dog nails and hair. WARNING: Always buy organically grown super foods (spirulina, kelp, barley grass etc.) If not grown in pristine monitored conditions, they could contain high levels of heavy metals and toxic poisons thus making your dog sick. L-Carnitine is a natural protein like substance that enables cells to carry fuel (fatty acids) to the heart. When a dog is unable to synthesize carnitine or is not getting enough carnitine, the fuel does not reach the heart, resulting in heart disease. Taurine is an amino acid that is found in muscles, it is most abundant in the heart tissue. It maintains cell membranes, regulates the heart beat and protects the heart from calcium overload. One study showed it to be more effective than CoQ10. To get a little more technical, Carnitine’s job is to carry fatty acids in to the mitochondria. Fatty acids are metabolized by the mitochondria within the cell. Each molecule of fat must be attached to a molecule of Carnitine in order to be transported across the mitochondria. After the fat has been metabolized in the mitochondria and has generated the energy ATP, Carnitine is again needed to remove the waste product from the mitochondria. Canine heart disease including DCM is believed to be caused by deficient diet, poor genetics (poor breeding etc. ), or the inability to synthesize carnitine and taurine naturally in the body or a viral cause. A healthy dog produces L-Carnitine and Taurine naturally by using vitamins and amino acids obtained through a healthy diet (Lysine, Methionine, B6 etc.). However, some animals are unable to synthesize Taurine and L-Carnitine even with proper nutrition. This can lead to a deficiency causing heart disease, including DCM. I would strongly recommend Five leaf pet pharmacy and their products for any sort of heart disease. They are organic and wild harvested and I have had some brilliant results using their powerful heart tonics and tinctures, and supplements. These herbs not only protect the heart from future damage they can alleviate heart murmurs, regulate heart beats, build the heart’s muscle and valves and restore proper circulation (these are traditional herbal remedy uses and may not be supported by significant scientific agreement). You can go to Caninehearthealth.org for more information. With the right diet, natural herbs, supplements, Reiki healing , hydrotherapy, you can support your animal's heart beautifully without damaging or poisoning their body. Coconut oil is well known for being rich in health benefits for people, but this product is also highly beneficial for dogs and cats as well. Incorporating coconut oil into dog's and cat's lives both topically and internally will lead to dramatic improvements in their overall health. My own ten year old English retriever has benefitted a lot since I introduced coconut oil in her diet, she is on a raw diet, her joints are good, coat is glossy and she chases cats around in the compound like a little puppy, and climbs up steps with ease. 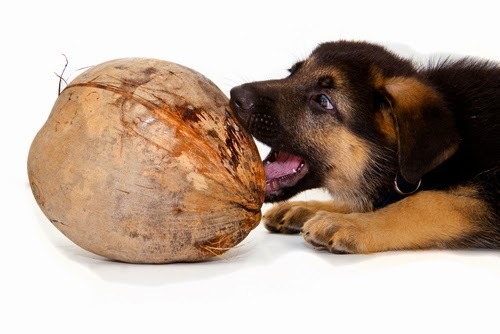 Fed regularly to pets, coconut oil can have many health benefits - for their skin, digestive and immune systems, metabolic function, even their bone and brain health! 2. Incredibly emollient, coconut oil helps moisturize the dryest K9 skin and makes a dog's coat gleam with health - whether you add it to her diet, her shampoo, or both! 4. The antibacterial and antifungal properties of coconut oil help reduce doggy odor, and its pleasantly tropical aroma imparts a delightful scent to a dog's skin and coat. 6. Digestion and nutrient absorption are improved by the addition of coconut oil to a dog's diet. It can, however, cause stool to loosen; if that happens, just add a few spoonfuls of canned pumpkin to your dog's diet . 7. 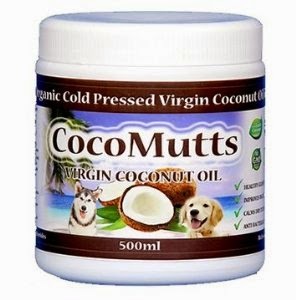 Coconut oil reduces - and sometimes eliminates - doggy breath. Some dog lovers even brush their pets' teeth with the stuff! Which makes sense, as dogs love the taste of coconut oil, and that makes the chore less arduous for brusher and brushee. 9.Helping to reduce weight and increase energy, coconut oil also promotes mobility in dogs with arthritis and other joint issues. 10. Again like cinnamon, coconut oil is excellent for brain health; it's being used to stave off dementia in humans, and it's a must to keep senior dogs' minds from becoming cloudy. If you want to hear more about what benefits our pets can get from coconut oil, check out what Dr. Karen Becker has to say on this subject. 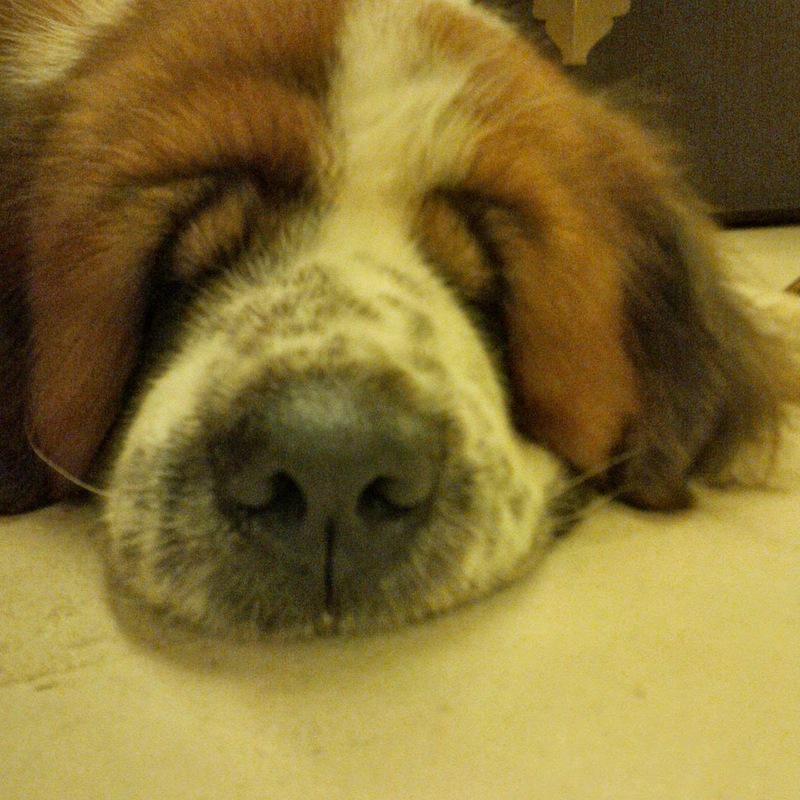 My reason for writing this blog is Sky, a five year old Saint Bernard .Thank you Sky for letting me be a part of your journey as your healer and your advocate and helping me create awareness among pet parents, about cancer and that they can actually help their pets so much just by feeding the right foods when their pets are diagnosed with cancer. WHY DO DOGS WITH CANCER NEED A SPECIAL DIET? Dogs with cancer need a special diet because when they are sick their immune system gets weak.When your dog is sick every day, the immune system grows more weaker.Some of the aggressive cancer therapies may strain their system further. All this makes it harder for them to recover.If you want the best chance for a good outcome , you need to give your pet the proper building blocks to use in fighting this disease, and keep out those things that will do further harm. Diet is crucial for a dog with cancer. WHAT HAPPENS WHEN THEY DO NOT HAVE THE RIGHT DIET? That is why it is critical that dogs receive the right supply of quality protiens and cell memberane compounds from their diet. The first rule of thumb is to STAY AWAY FROM GRAINS. Dogs are not naturally grain eaters.As grains are stressful on their digestive system.Unfortunately , most commercial dog foods( even the most expensive ones) include rice , wheat or corn.Keep in mind , dogs are primarily carninvores. They thrive on species appropriate diet. "Diet is one thing that is easily controlled, and is often the only thing that makes the difference between a successful treatment outcome and failure." The general rule of thumb in a cancer fighting diet is low carbs and high omega 3 fatty acids.Cancer cells thrive on carbohydrates so we do not include them in the diet, fatty acids nourish the dog not the cancer , so they are our friends. Dr. Ogilvie states that not only fatty acide will give the dog energy but also can help stop the tumour growth. Raw food diet/Home cooked diet. Bones ( MUST BE RAW). Meat- chunked or ground beef, lamb, chicken, pork , venision, turkey, fish etc. Whole egg, cottage cheese, flaxeed , spirulina, chlorella, kelp. Vegetables- broccoli, kale , shitake mushrooms, brussel sprouts. Liver cooked or raw should be included in every meal. Flaxeed oil and cold pressed coconut oil and one clove of garlic added to meals. VITAMINS- A, C, D (SUNSHINE), SELLENIUM, CALCIUM. Cancer loves an acidic environment because it cannot survive in an alkaline environment. Sugar causes acidity plus it feeds cancer , so avoid all sugars. YOU SHOULD CONSULT YOUR VET IF YOUR DOG IS HEALTHY ENOUGH TO EAT HIGH PROTEIN , HIGH FAT DIET ESPECIALLY FOR THOSE SUFFERING FROM PANCREAS, LIVER, SPLEEN, KIDNEY CONCERNS. There are many complimentary and alternative approaches that can be very beneficial either as a stand alone treatment or when combined with conventional cancer treatments such as chemothrapy or radiation. Some of the most commonly used therapies are accupuncture, herbal supplements, homepathy,and Reiki. 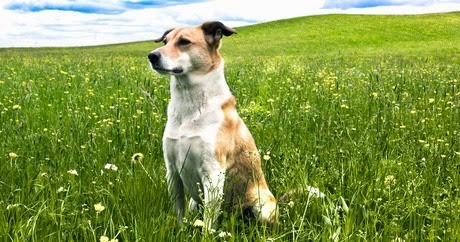 While all may provide some level of benefit, one or two may seem to suit you and your dog more than the other. You may also have limited access to experts in all of these areas. So instead of trying to incorporate all of these modalities, choose them based on what feels right to you and how easily you can access professionals who have experience using these methods with animals who have cancer. Put together a good medical team that you trust and who respects your role as your pup's advocate. Trust their expertise and guidance , but still make the final decisions based on your own gut feeling and what feels right for you. Reach out for the emotianal support that you need whether it is from friends or family or any support group. Research has shown that grief is the same whether we are mourning the loss (or anticipated loss) of a loved human or animal. Stress affects us the same way too no matter what the cause. You can be a better care giver and advocate for your dog if you take care of yourself first. So, connect with others and spill your fears and worries, request time off from work if you need it, ask friends or family members for help to get your dog to vet appointments, or watching them while you are away, or whatever it is that you need. Your dog will pick up on your stress and anxiety and it will eventually affect them if you aren't managing it well, so do not try to do it all by yourself , let others help take some weight off your shoulders. I strongly believe that dog lovers should be their dog’s Primary Health Advocate. While your vet is the expert in what he’s been trained in, you are the expert on your dog… and you need to be the leader of the team. I deeply hope more pet parents will make themselves aware and make wise choices when it comes to their pet's health and wellbeing.